DMN Method and Style Basics provides business users with hands-on instruction in the use of DMN, the Decision Modeling and Notation standard. DMN is a common language shared by business and technical modelers used to define the logic underlying key business operations, including regulatory compliance, pricing, lending and credit approval, claims, and more. 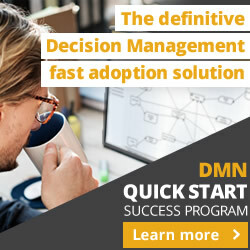 DMN can be used both to create verifiable model-based decision requirements given to IT for implementation, and fully executable decision models that can be tested in the tool and instantly deployed as decision services in production. The DMN Basics focuses has been completely revised and updated based on the DMN 1.2 standard, including new features like decision services and import of reusable decision logic. The training is hands-on with the Trisotech DMN Modeler, the first tool to fully support DMN 1.2. Students will learn how to create model-based decision requirements diagrams (DRDs) that outline in detail the end-to-end logic of a complex business decision, and how to specify the datatypes of the input data required and the intermediate supporting decisions. In addition, they will learn how to create the decision logic of each decision element in the DRD, using a combination of decision tables, literal expressions, and invocation of logic fragments created by others. We cover decision tables in depth, including DMN’s various “hit policies” and when to use each one, as well as how to verify that a table is complete, consistent, and maximally contracted. Students will learn how to use DMN to simplify and improve BPMN process models, and how to use BPMN in combination with DMN decision services to describe end-to-end decisions executed in multiple steps. 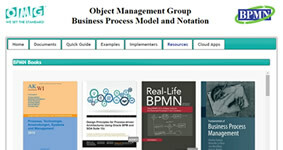 DMN Basics also shows students how to incorporate logic created by other technical modelers or subject matter experts in the organization, by invoking them as business knowledge models (BKMs) or decision services. They will see how to use Trisotech’s business glossary features to standardize variables, datatypes, and logic across the organization, and how to import BKMs and decision services saved in model libraries. Finally, the course shows how to validate and test decision models, save and use test cases, and even deploy them as executable services. 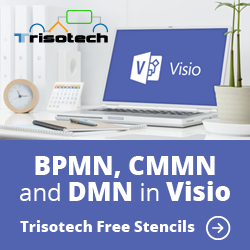 The training uses the latest version of Trisotech’s DMN Editor, so far the only software that fully implements the DMN1.2 standard, including FEEL, boxed expressions, and XML model interchange, incorporating DMN runtime from Red Hat, the world leader in production decision engines. 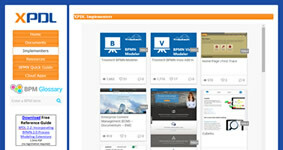 The class is delivered on-demand via the Scormcloud Learning Management System (LMS). The training features numerous “hands-on” exercises using the Trisotech tool. Students have access to the tool in my workspace for use in class and in the 60-day post-class certification period. 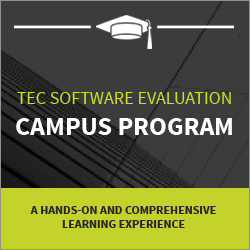 Certification is based on an online exam and mail-in exercise that students must iterate until it is perfect. Access to the training video and tool expires in 60 days. Extension may be purchased at additional cost. The course outline is below. At the end of each part of the training there is a 10-question multiple choice quiz similar to the certification exam. The post Updated DMN Training Released Today appeared first on Method and Style.